1) Man’s soul is the spiritual element of his existence which, together with the body, constitutes the whole human being. The blood is part of the bodily organism and is not, of course, identified with the soul. According to St Gregory Palamas, “The soul is everywhere in the body.” As essence it is in the heart as in an organ, and as energy it is in the whole body. In Holy Scripture the word ‘soul’ is used with many meanings. Sometimes it denotes the spiritual element of human existence, sometimes it describes the human being, and sometimes it means life. Thus in some cases it is written that animals also have a soul, in other words, life. In human beings the soul has essence (nous and free will) and energy, whereas in animals it only has energy, which is why they act by feeling and instinct. There are passages in the Old Testament in which the soul is equated with blood, for instance, “The soul of all flesh is in its blood” (Lev. 17:11) and “Be sure not to eat the blood, for the blood is the soul” (Deut. 12:23). Here the word ‘soul’ means life (and is translated as ‘life’ in English versions of the Old Testament), because blood is the basic element that constitutes and sustains life. 2) The Church does not regard blood transfusions as a problem, provided that they take place with the free consent of the donor, but also with benevolent intentions towards the recipient. 3) Blood transfusions should not take place with selfish aims or on a commercial basis. There has been, and continues to be, much discussion about transplants, particularly within the Church, because they give rise to various ethical and theological dilemmas. The basic views on this discussion are as follows. 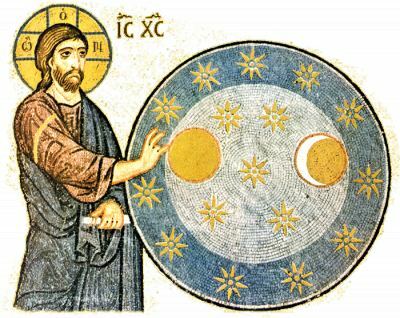 1) The Orthodox Church does not reject science and does not come into conflict with it, provided that the results of research prove beneficial for humankind, and that science itself erects barriers to prevent unreasonable and harmful research. In any case, the Church and science have different aims. Science can never replace or be a substitute for the Church and its theology. Organ transplants help to prolong human life and improve the so-called ‘quality’ of biological life. The Church, of course, has the right not to accept some achievements of scientific research that go against its theology, just as Christians are free not to make use of all scientific achievements. If they are at liberty to refuse to obey God’s will, they are even more at liberty to refuse, on a personal level, to accept scientific developments. The soul is not simply contained in the body, but contains and holds the body, gives it life and unites it. When an organ of the body becomes sick for various reasons or stops functioning, this does not means that the soul is lost or fragmented. In the patristic tradition it is clear that, apart from the soul’s rational faculty (reason, logos), the soul also has a noetic faculty (nous). When the rational faculty does not function because there is no suitable organ, as in the case of embryos, newborn infants, anencephalic newborn infants, and people who are brain-dead, the soul’s noetic faculty nevertheless exists and functions, as do other energies. Consciousness and man’s relationship with God are not determined solely by the soul’s rational faculty, but primarily by its noetic energy. According to St Maximus the Confessor, the human soul has three powers: the power of nourishment and growth, the power of imagination and instinct, and the power of reason and nous. Certainly, in most cases medical science does not accept this Orthodox Christian anthropological viewpoint today. We Orthodox, however, should not easily renounce and deny it. If we do, this will open the way for us to accept that the embryo does not have a soul in the first fourteen days after its conception, because medical science asserts that the stem cells have not yet been differentiated, the foundations of neural tissue have not yet started to be formed, and embryos do not have souls. It will also open the way for us to accept that those who are in a deep coma and unconscious do not have souls. 3) The Orthodox Church faces all issues, including that of organ transplants, from a pastoral point of view. From this perspective it takes a pastoral approach to the donor, the recipient, and the transplant team who harvest and transplant the organs. It investigates why and how the transplant is offered, why and how the recipient accepts it, and why and how the transplant team acts. 4) From a theological point of view, it must be investigated whether the organs for transplantation are taken from living donors or from ‘cadaveric’ donors. We use the term ‘cadaveric’ donors with reservations, because there is a serious problem on this point, as we have mentioned. Essentially, someone who has undergone what is called ‘brain death’ is not dead according to Orthodox theology. When someone donates an organ of which he has two, without this bringing about his death, this is regarded as altruism, sacrifice and love. When, however, taking organs presupposes the death of the donor, this raises many questions. 5) The whole issue of ‘cadaveric’ transplants rests on what brain death is: whether brain death is identical with biological death, and when the soul leaves the body. Many views have been expressed on these matters. To assert that brain death is absolutely identical with biological death poses a major problem from the point of view of Orthodox theology. The fact that the heart functions, albeit with mechanically assisted respiration, and that other functions continue means that there is still life in the human being, and so the soul is still there. The same applies to the embryo in the first stages of its development, when there is life and soul, even though the brain has not yet been formed and does not function. Brain death is an iatrogenic phenomenon, in other words, something that results from mechanically assisted respiration. According to Orthodox theology, death is a mystery, so defining death as brain death is philosophically and theologically doubtful. 6) The Church accepts the transplantation of organs that can be taken without leading to the death of the donor. In other cases, there is a need for great caution and thorough investigation on the basis of theological and patristic anthropological criteria. The issue of offering organs could probably be solved from the point of view of conscious and free self-sacrifice and voluntary offering, acting within a Christian framework, which is distinct from suicide and euthanasia. Even this, however, is problematic for some people, because the character of the gift “changes” after death, as after death “the gift becomes autonomous of the donor” (G. Mantzarides). Consequently, in order for organs to be harvested, it is necessary, on the one hand, to ensure the free written consent of the donor, while he was still conscious, because we do not accept what is called ‘presumed consent’. On the other hand, there must be safeguards to prevent organs that are freely offered becoming the subject of commercial transactions on the part of the donor, the relatives, the recipients, medical staff, corporations, and so on. Unfortunately, this cannot be taken for granted. It is reported that even the correctness of free written consent is doubted in various theological and medical circles. 7) We would probably not object to the use of xenotransplants (from animals), provided these were judged to be safe by medical science, because there are fears about transferring viruses from animals to humans, and upsetting the existing equilibrium in nature. The Church, however, cannot agree with the possible creation of tissues for transplantation following the appropriate cultivation of human embryonic cells, because in the process of obtaining these cells the blastocyst, and consequently the embryo, is destroyed. This is because, according to Orthodox theology, the soul is in the embryo from the moment of conception. It is a different case when progenitor cells from adults and progenitor embryonic cells (stem cells) taken from the umbilical cord are used for research and transplantation, provided that this is not the result of abortion and is not commercialised. 8) The ultimate aim of transplants ought not to be simply the prolongation of biological life, but the repentance and cure of human beings, so that, by means of purification, illumination and deification, they may be eternally united with Christ. Without this basic presupposition, any sort of transplant is expedient, utilitarian and anthropocentric in character, and does not assist in salvation. Merely prolonging biological life is not enough, nor is it theologically correct; death must be overcome by participation in the mystery of the Cross and Resurrection of Christ. 1) The Church is not against scientific research that aims to relieve human suffering and cure illness, even by means such new developments as gene therapy, organ transplants and so on, provided that the scientists themselves set barriers to prevent unreasonable research. 2) Unfortunately we see that the production of human embryos is being pursued in order to take the progenitor embryonic cells and exploit them for so-called therapeutic cloning. Many people claim that even in vitro fertilisations have taken place, and continue to take place, in order to facilitate research by using the ‘surplus’ fertilised ova, rather than for the purpose of bearing children. Orthodox theology cannot accept this. It is to be hoped, however, that the necessary drugs and suitable methods will be found to treat the various illnesses that afflict humanity. There are many people who stress the need to pay particular attention, on the one hand, to research on progenitor cells from adults, which are a very viable alternative solution to treatment with cell transplants, and, on the other hand, to harvesting progenitor cells from the umbilical cord so that they can be used later for possible therapeutic purposes, and perhaps also to new ways of producing stem cells, should this eventually become feasible. This second case, however, again raises a question and concern about lack of confidence in God’s Providence and the rationalisation of life. 3) Gene therapies using different techniques run the risk of provoking scientists to create a human being with exaggerated abilities and skills in various members of his body, essentially, to create a superman. Such experiments are also attempted in sport by means of genetic doping. Consequently, there is always the potential danger of genetic racism and a eugenic society as a result of such interventions. In addition to therapies for the good of humankind, the issue can deviate into actions hostile to human beings. In philosophy and theology this is called hubris, and it could lead to the creation of chimeric (partly human) beings. 4) It should not be ignored that none of these scientific efforts can conquer death, because among the genes there are also genes that contribute to ageing. Death, therefore, is an illness that we inherit from the moment of our conception. Human life can be extended through medical research and discoveries, but death cannot be overcome by created human means. Victory over death is a gift given to humankind by Christ, as He conquered death through His Resurrection. This is clear from the lives of the saints, especially from their incorrupt relics. We know that human skin is a mass of cells and, of course, the genes of ageing are present in these cells. When the soul leaves the body, in the normal way the skin ought to disintegrate, being subject to the corruption and mortality that rule humankind. In the relics of the saints, however, it is clearly shown that the law of corruption has been conquered by the uncreated deifying energy of God. The incorruptibility of the saints’ relics is an actual fact, and, apart from its theology, it would be interesting for it to be studied from the scientific point of view.